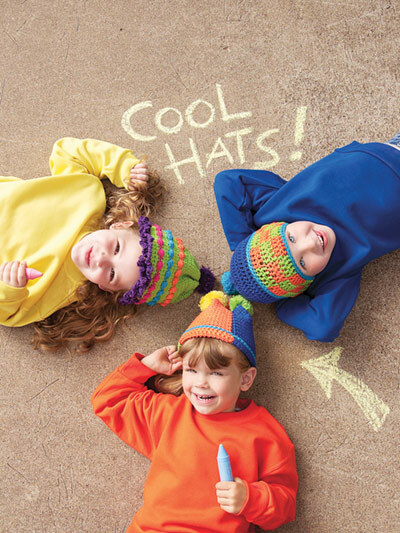 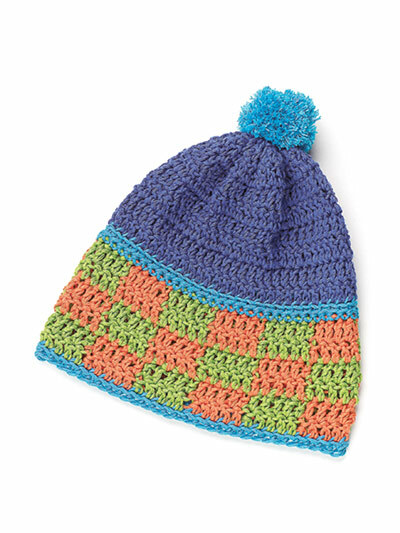 Bright colors and fun shapes make these 3 hats perfect companions for play! 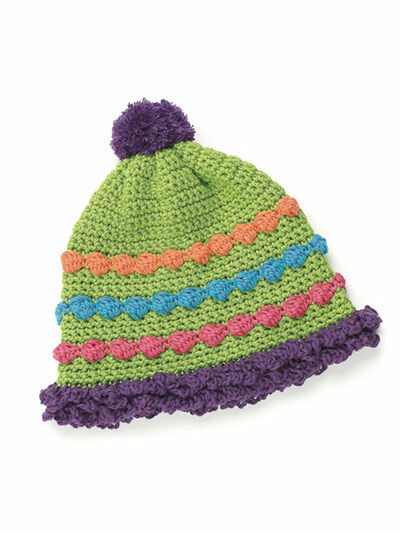 Each design is made using a DK-weight yarn and size G/6/4mm crochet hook. 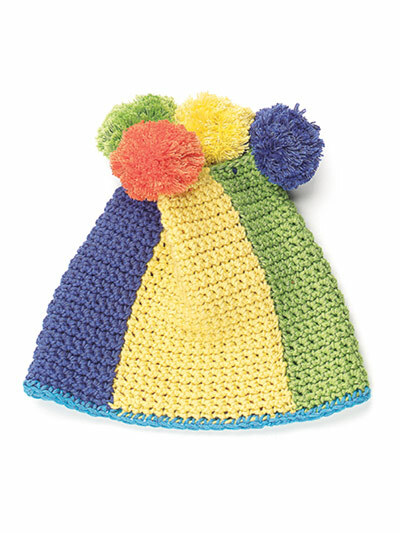 Pompoms top off each hat. 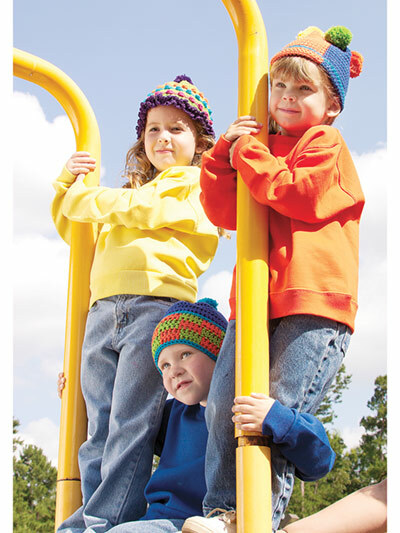 Instructions given fit 15"" head (17" head, 19" head).